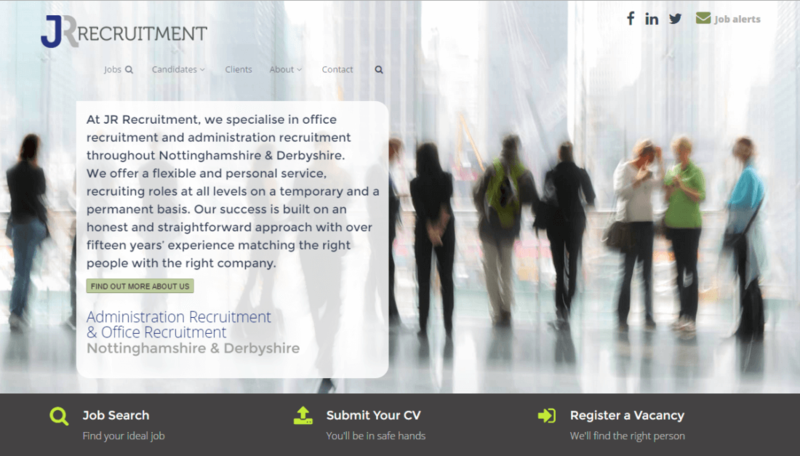 JR Recruitment are office recruitment and administration recruitment specialists operating across the Nottingham, Derby and Leicester areas. 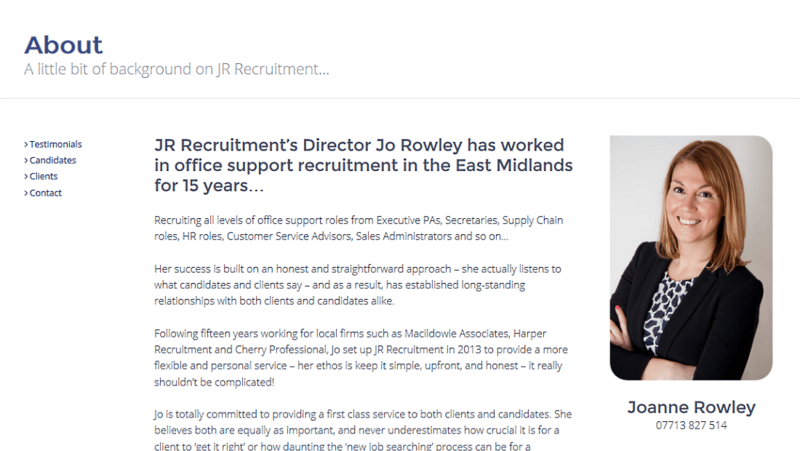 Joanne Rowley from JR Recruitment wanted her new recruitment web design to portray a simple, clean, unfussy and professional look and feel. 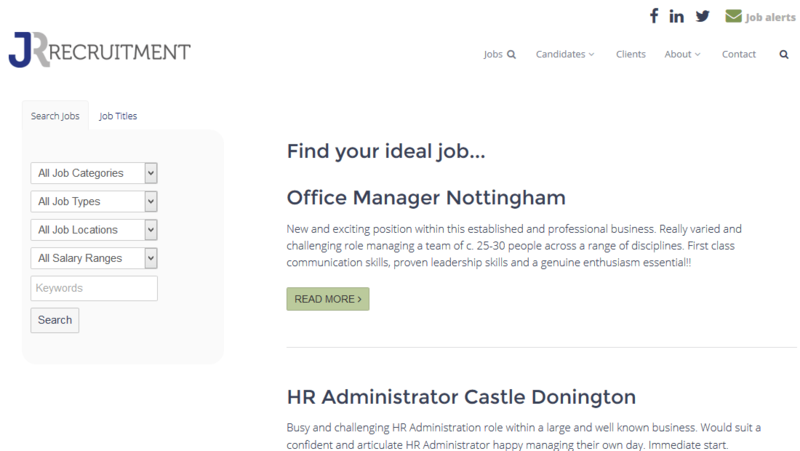 The site allows Joanne to record and advertise admin and office job vacancies through bespoke job vacancy post types in her new WordPress website and provides a Job Alert service to notify candidates when a vacancy that matches their selection criteria is added to the website.